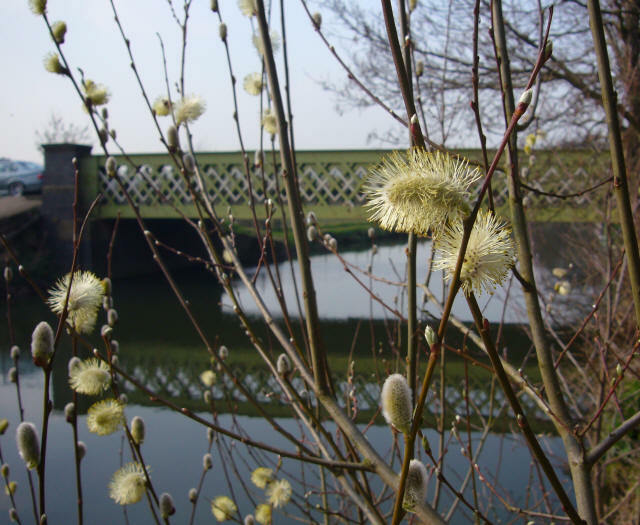 A wooden bridge was built from Millmead to the Jolly Farmer in what is now Quarry Street. This was replaced in 1934 by the graceful, high arched, Quarry Hill footbridge. 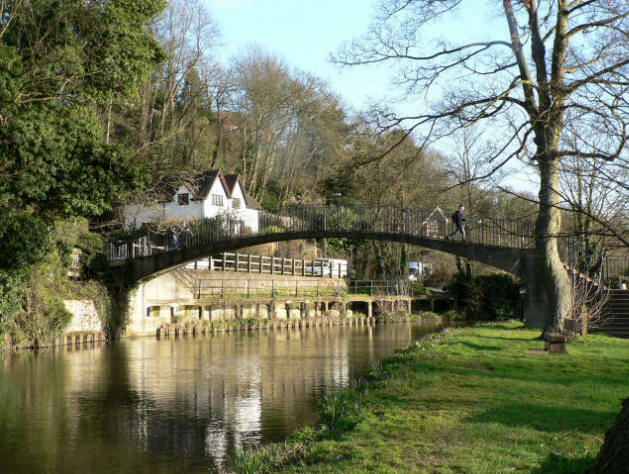 To the South of Guildford there is the railway bridge to Shalford and the picturesque Broadford Bridge. 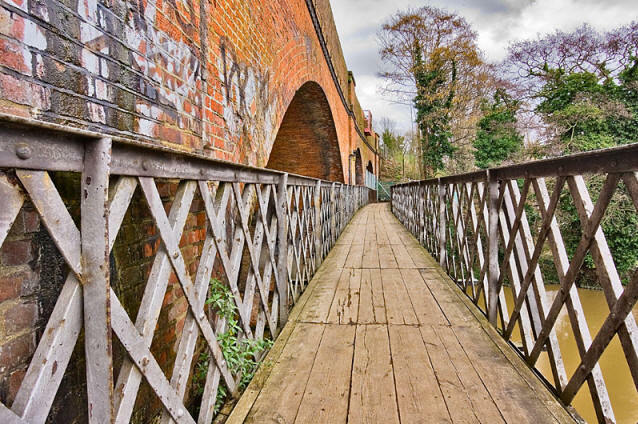 North of Guildford there is Bower's Lane Bridge, now a footbridge and superseded by the unglamorous Clay Lane Bridge. The seven arch viaduct over Woodbridge Meadows was built for the Guildford via Cobham railway and connects London Road to the main line station. It opened in 1885. The wooden footbridge looks like an afterthought, but connects the towpath and now the University to the town. 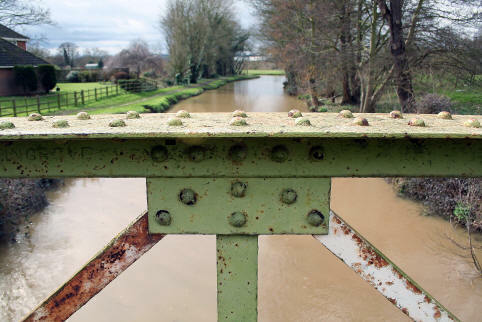 Onslow Bridge was opened in 1882 to provide a second river crossing, closer to the railway station. 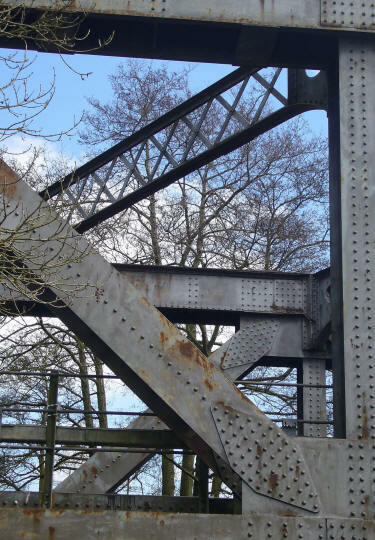 The footbridges at Millmead are of ancient origin. They were rebuilt when the Navigation was extended to Godalming. The stone footbridge is normally dry, the photograph shows it carrying floodwater. There are several modern road bridges, such as the A3 at Woodbridge. However, these are functional and have no character, they have not been included here.